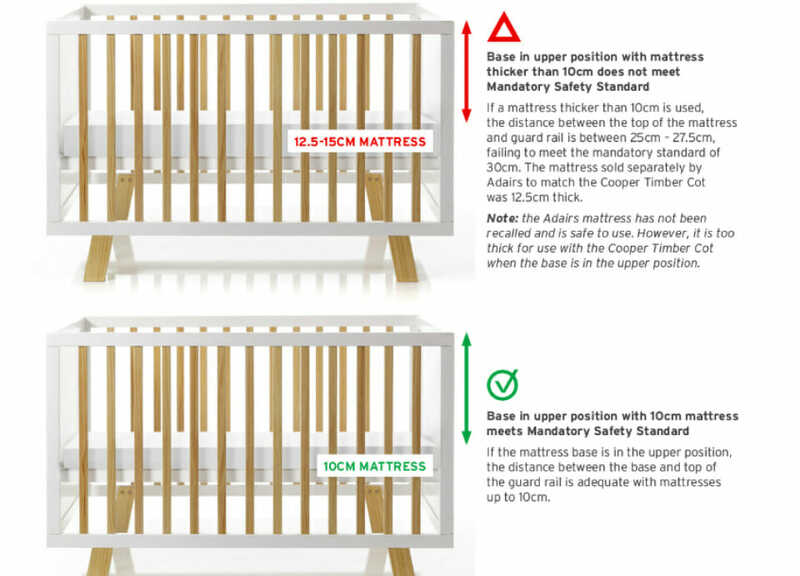 Baby cot company Adairs has revealed there’s a recall for its Cooper Timber Cots, after it has been revealed they do not meet mandatory safety standards tests. These cots have been on sale since 2016 and one of the main issues is the distance between the mattress and the top of the guard rail. Adairs has revealed there are a number of reasons for the recall, including issues with guard rails and sharp edges. Adairs revealed that the cot must be a MINIMUM distance of 30cm between the mattress (when in upper position) and the top of the guard rail. However, the attached safety label recommends a mattress of 10-15cm in thickness. However, the required minimum distance is not met when the base is used in the upper position with a mattress thicker than 10cm. HAZARD: If the base is used in the upper position with a mattress greater than 10cm, a child could fall out of the cot and cause injury. All cots must be rounded to a radius of at least 2mm. However, some edges on the guard rail top have been found to have a radius of less than 2mm and not sufficiently rounded or smoothed. HAZARD: A child could bump against the top guard rail and injure themselves. “We know the safety of your family is your highest priority. We take product safety very seriously and undertake rigorous testing of all children’s furniture,” a statement by Adairs read. “These tests are conducted by an independent party in line with mandatory safety standards and we continue to re-test these products at regular intervals. The cot was immediately withdrawn from sale and recalled after it was found to not meet mandatory standards. “The recall relates to Cooper Timber Cots sold between March 2016 and March 2019. We are extremely sorry for the inconvenience,” continued the statement. Modification of cot, including replacement of a mattress if it is thicker than 10cm plus a clear teething cot rail guard to ensure edges are rounded. Return cot for a full refund, with or without receipt. For more information, visit the Adairs website. For more Healthy Mummy articles relating to children’s health, you can read our archive of articles here. To keep up to date with kiddie-related health news, kid-friendly recipes and general updates follow our Healthy Mummy Healthy Kids Facebook Page. 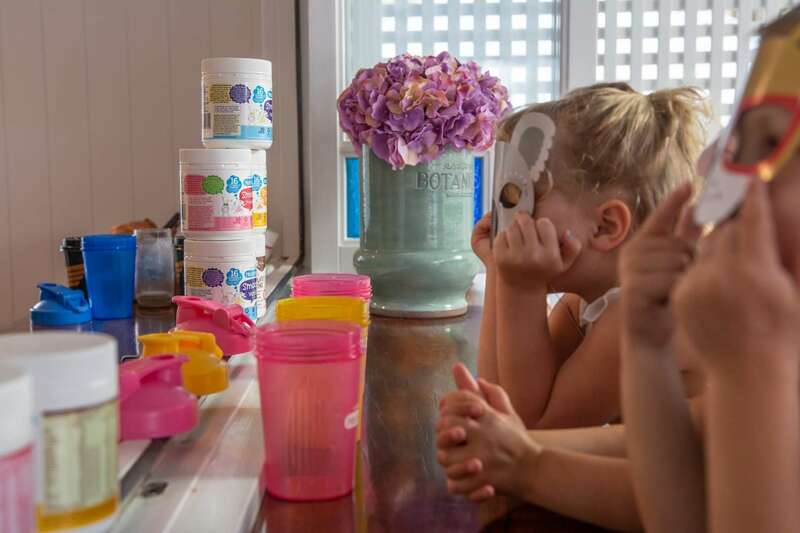 The Healthy Kids Smoothies have been specially made as a healthy snack for kids and are ideal if you have fussy eaters or want to ensure your children have a nutritious and healthy smoothie snack. It also has a 4.5 Health Star Rating when made with skim milk. It contains NO added sugars.